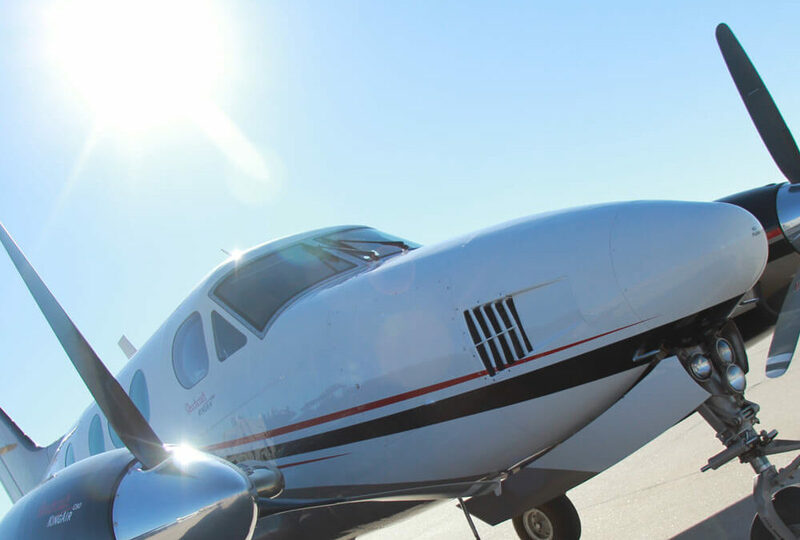 LINCOLN, NE — The skilled avionics installation technicians at Silverhawk Aviation in Lincoln, NE have installed the Gogo AVANCE L5 from Gogo Business Aviation, in a Cessna Citation Excel aircraft. Gogo AVANCE L5 is a complete Wi-Fi system that operates on the Gogo Biz 4G network. This installation will let cabin passengers take advantage of greater network capabilties and faster speeds than Gogo’s 3G network provides for an improved online user experience while in flight. The system is designed specifically for business aircraft and offers enhanced connectivity applications for activities such as streaming audio and video, email with large attachments, and the ability to make phone calls or send text messages . Silverhawk Aviation developed the Supplemental Type Certificate (STC) for the AVANCE L5 system for the Cessna Citation XL/XLS/XLS+ aircraft, which covers the installation of the Gogo AVANCE L5 system components and system activation. The approval is in its final stage with the FAA and is expected to be in hand in two weeks or less. Canadian Validation and PMA on the belly antenna shim adapters will follow FAA approval. The Wi-Fi equipment developed by Gogo Business Aviation has a dual-band router, meaning it can operate on either the 2.4 or 5 gigahertz (GHz) freqency. The ability to switch is a benefit to passengers because when the 2.4GHz frequency is in heavy use and experiencing delays, switching to the 5GHz frequency with its greater number of channels can improve performance. Silverhawk Aviation’s AVANCE L5 STC applies to the Cessna Citation XL/XLS/XLS+ aircraft. Additional AVANCE L5 system STC installations in Cessna Citation 560, Ultra, and Encore and Encore+ aircraft are scheduled at Silverhawk Aviation in the near future. You may schedule a time to install the Gogo AVANCE L5 at Silverhawk Aviation Lincoln, Nebraska or to order the complete STC kit for installation at any authorized Gogo Business Aviation installer. Call +1 402.475.8600 for more information. Silverhawk Aviation is an authorized full-service maintenance, repair, and overhaul Gogo dealer. Other Maintenance and Avionics services include major and minor airframe inspections, engine maintenance, King Air engine and airframe modifications, avionics repair, install, and panel modifications. Learn more at www.silverhawkaviation.com.